The company, whose clients range from local small businesses to regional and national companies, has flourished since moving into the bespoke offices in April 2011. "It has been one milestone after the other." states owner Colin Harris. "We have grown so much in such a short space of time, from just myself to 4 of us. It seems like every week there's something new to celebrate “ but none of this would be possible without having such great staff and brilliant customers to work with." "We are constantly looking to offer more to our clients. We now offer a Print and Design service, help customers with Social Media and are creating our first ever mobile applications. Our aim is to help business increase their returns or add value. 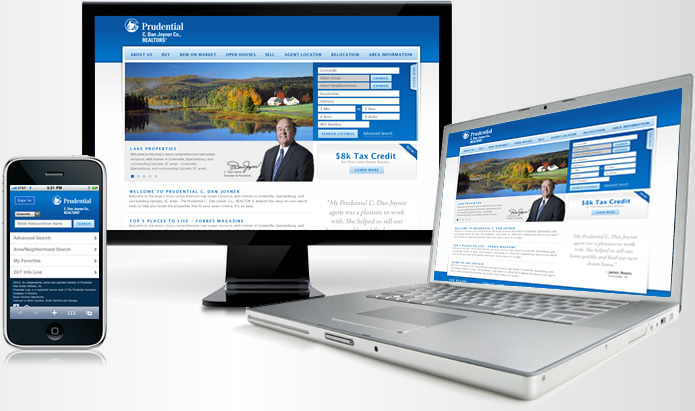 Having a website is no longer enough “ we are helping businesses to make the most out of them." John Brown, who is also celebrating a first year anniversary with the company, works as a website designer for Colin. He also lives in Amble and sees the importance of having growing businesses in his home town. "It's great for both Amble and me that there are such businesses like this to work for. The last 12 months have been very good and challenging and I've enjoyed the projects I have worked on." There are no plans to slow down in Year 2. Colin is currently recruiting for 2 additional members of staff to bring up the total to 6. The values of the company will however remain intact. "Our focus is always with the customer - what clients want, servicing them as best we can and helping them to make the most out of the web for their business." says Colin. "As we grow, so do they. Many of our clients are taking their websites to the next level on the back of work we have done previously and you cannot have a better endorsement than that". You can find out more by visiting the company's website at www.colinharris.net.